Welcome to 1151 Sunset Drive – 1 Bed + Den Offering STUNNING LAKE VIEWS!! 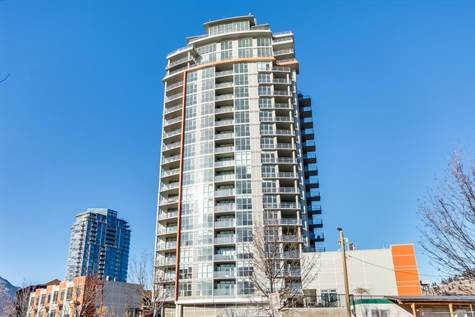 This Bright Modern Unit has Floor to Ceiling Windows, Granite Countertops, Gas Range, Hardwood Flrs + Gas Hookup on Deck. The Unit comes with 1 U/G Parking Stall + a Storage Locker and there is also Bike Storage! The Development offers a Plunge Pool, Outdoor BBQ Area, Amenity Room + Fitness Room. Only steps to the Lake, Parks, Dining and Recreation! No GST and the Home has a 2-5-10 Home Warranty.